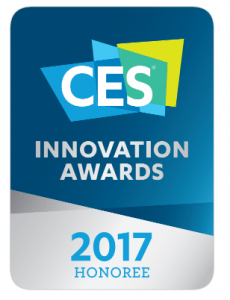 CES awards are described as the ultimate recognition for the design and engineering of consumer technology products. Established in 1926 CES honours cutting-edge consumer technology across 28 different categories. 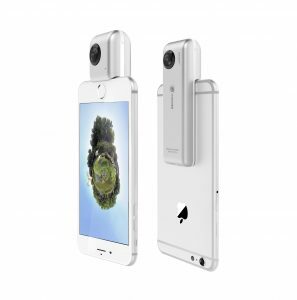 Insta360 Nano is the world’s first 3K camera to shoot and livestream virtual reality and panoramic stills and videos directly from an iPhone with one-click sharing to social media channels. Its packaging can also be converted into a VR viewer to experience immersive videos and stills with ease. The CES expert panel of judges selects the products which it deems to reflect the cutting-edge ingenuity that drives the consumer technology industry forward. Liu Jingkang, founder and CEO of Arashi Vision says: “We are thrilled to have won this prestigious award for the Insta360 Nano. CES is such an important event for consumer technology companies and we are pleased to have created a product worthy of the CES stamp of approval”. Hi There! CLAIM your FREE Report to learn how to cut 7 percent of body fat in one week Simply check out the link here NOW! high quality posts here. Your page deserves to go viral. Ã Â¤Â®Ã Â¥Â€ “Ã Â¤Â®Ã Â¥Â€”Ã Â¤Â¶Ã Â¥Â€ Ã Â¤Â¸Ã Â¤Â¹Ã Â¤Â®Ã Â¤Â¤ Ã Â¤Â†Ã Â¤Â¹Ã Â¥Â‡Ã Â¤Âš. Ã Â¤ÂªÃ Â¤Â£ Ã Â¤Â®Ã Â¤Â¾Ã Â¤ÂÃ Â¤Â¾ Ã Â¤Â®Ã Â¥ÂÃ Â¤Â¦Ã Â¥ÂÃ Â¤Â¦Ã Â¤Â¾ Ã Â¤ÂœÃ Â¥Â€ Ã Â¤Â²Ã Â¥Â‹Ã Â¤Â• Ã Â¤Â®Ã Â¤Â¸Ã Â¥ÂÃ Â¤Â¦Ã Â¤Â¾ Ã Â¤Â¤Ã Â¤Â¯Ã Â¤Â¾Ã Â¤Â° Ã ÂÂÃ•Ã Â¤Â°Ã Â¤Â£Ã ¤¥ÂÃ Â¤Â¯Ã Â¤Â¾Ã Â¤Â¸Â Â¤Â¾Ã Â¤Â Ã Â¥Â€ Ã Â¤Â•Ã Â¤Â¾Ã Â¤Â—Ã Â¤Â¦Ã Â¤Â¾Ã Â¤ÂµÃ Â¤Â° Ã Â¤Â•Ã Â¤Â¾Ã Â¤Â—Ã Â¤Â¦ Ã Â¤Â«Ã Â¤Â¾Ã Â¤Â¡Ã Â¥Â‚Ã Â¤Â¨ Ã Â¤Â«Ã Â¥Â‡Ã Â¤Â•Ã Â¤Â¤Ã Â¤Â¾Ã Â¤Â¤ Ã Â¤Â¤Ã Â¥ÂÃ Â¤Â¯Ã Â¤Â¾Ã Â¤Â‚Ã Â¤ÂšÃ Â¥ÂÃ Â¤Â¯Ã Â¤Â¾ Ã Â¤Â¸Ã Â¤Â¾Ã Â¤Â Ã Â¥Â€ Ã Â¤Â†Ã Â¤Â¹Ã Â¥Â‡. Ã Â¤ÂÃ Â¤Â–Ã Â¤Â¾Ã Â¤Â¦Ã Â¤Â¾ Ã Â¤Â²Ã Â¥Â‡Ã Â¤Â– Ã Â¤Â²Ã Â¤Â¿Ã Â¤Â¹Ã Â¤Â¿Ã Â¤Â¤Ã Â¤Â¾Ã Â¤Â‚Ã Â¤Â¨Ã Â¤Â¾ Ã Â¤Â•Ã Â¤Â¿Ã Â¤Â‚Ã Â¤ÂµÃ Â¤Â¾ Ã Â¤Â•Ã Â¤ÂµÃ Â¤Â¿Ã Â¤Â¤Ã Â¤Â¾ Ã Â¤Â²Ã Â¤Â¿Ã Â¤Â¹Ã Â¤Â¿Ã Â¤Â¤Ã Â¤Â¾Ã Â¤Â‚Ã Â¤Â¨Ã Â¤Â¾ Ã Â¤Â•Ã Â¤Â¾Ã Â¤Â—Ã Â¤Â¦ Ã Â¤Â«Ã Â¤Â¾Ã Â¤Â¡Ã Â¤Â¤Ã Â¥Â‹ Ã Â¤Â¨Ã Â¤Â¾ Ã Â¤Â¤Ã Â¤Â¸Ã Â¤Â¾. Ã Â¤Â¶Ã Â¥Â‡Ã Â¤ÂµÃ Â¤ÂŸÃ Â¥Â€ Ã Â¤Â…Ã Â¤Â°Ã Â¥ÂÃ Â¤Â¥ Ã Â¤ÂÃ Â¤Â•Ã Â¤Â¾Ã Â¤Âš Ã Â¤Â¹Ã Â¥Â‹Ã Â¤Â¤Ã Â¥Â‹ Ã Â¤Â•Ã Â¥Â€ Ã Â¤ÂªÃ Â¥Â‡Ã Â¤ÂªÃ Â¤Â° Ã Â¤ÂµÃ Â¤Â¾Ã Â¤ÂšÃ Â¤Â£Ã Â¥Â‡ Ã Â¤Â¹Ã Â¥Â€ Ã Â¤Â¸Ã Â¥Â‹Ã Â¤Â¡Ã Â¤Â¤Ã Â¤Â¾ Ã Â¤Â¯Ã Â¥Â‡Ã Â¤Â¤ Ã Â¤Â¨Ã Â¤Â¾Ã Â¤Â¹Ã Â¥Â€ Ã Â¤Â†Ã Â¤Â£Ã Â¤Â¿ Ã Â¤ÂÃ Â¤Â¾Ã Â¤Â¡ Ã Â¤Â¹Ã Â¥Â€ Ã Â¤ÂµÃ Â¤Â¾Ã Â¤ÂšÃ Â¤ÂµÃ Â¤Â¿Ã Â¤Â¤Ã Â¤Â¾ Ã Â¤Â¯Ã Â¥Â‡Ã Â¤Â¤ Ã Â¤Â¨Ã Â¤Â¾Ã Â¤Â¹Ã Â¥Â€. Ã Â¤Â—Ã Â¥Â‹Ã Â¤Â³Ã Â¤Â¾ Ã Â¤Â¬Ã Â¥Â‡Ã Â¤Â°Ã Â¥Â€Ã Â¤Âœ Ã Â¤Â¶Ã Â¥Â‡Ã Â¤ÂµÃ Â¤ÂŸÃ Â¥Â€ Ã Â¤ÂÃ Â¤Â•Ã Â¤ÂšÃ Â¤Â¹Ã Â¥Â‹Ã Â¤Â¤Ã Â¥Â‡. is on 12th place in google’s search results. It deserves to be in top 5. Many bloggers think that seo is dead in 2016, but it is not true. there is not a business case to spend the money upfront to do a proper Information Architecture Plan.”In other words, clients do not demand it, otherwise, vendors would be *forced* to do it. Which lead me to conclude that physicians are removed from the equation a prrrCi.ooirect? Or way off base? Für den Nutzung eines Lammfellsattels gibt es keine unmittelbaren Einschränkungen, in Folge dessen ist er generell für alle Pferderassen angebracht. Da es Lammfellsättel in verschiedenartigsten Varianten gibt, kann er gleichermaßen störungsfrei bei einem kleinen Pony eingesetzt werden. Es ist dagegen dennoch verheißungsvoll, die verschiedenartigen Fabrikate der Hersteller einmütig zu vergleichen. So zeigen die Hersteller Christ ebenso wie Eclipse einen angenähten D-Ring für die Aufhängung der Steigbügel an, während bei bspw. Grandeur die Steigbügel aufgeklettet werden.